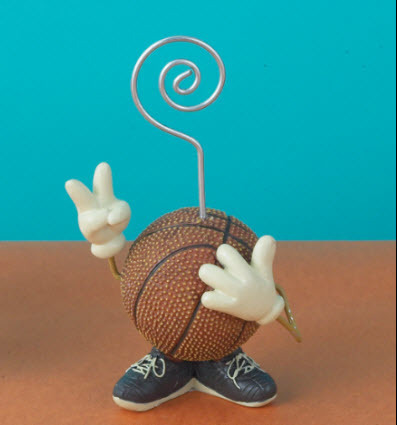 How fun are these 'footed' basketball place card holders! And....not only do they serve as card holders; your guests will LOVE taking them home to display a favorite photo! Each basketball card holder measures 3 1/2" x 1 1/2" and are made of durable resin and are hand-painted. Please allow up to 5 business days to fulfill your order; add ship time from NY.